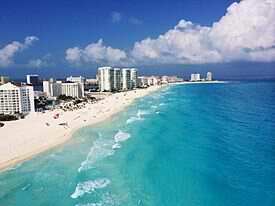 Cancun is an interesting Mexican region to visit. Not only does it offer visitors stunning beaches, fantastic accommodation, great-tasting food and exciting nightlife, but it also offers an insight into the Mayan culture. Anyone visiting this city, be it for the beaches or the nightlife, should try to take a couple of day trips to see the wider area. This protected area is one of the largest in Mexico. It covers around 1.3 million acres of beautiful, unspoiled land, which holds mangroves, inlets, lagoons, freshwater canals and Mayan ruins which have not been excavated. The area offers visitors the opportunity to get involved in conservation projects and to learn about the wildlife within the area. The reserve is located south of Tulum and day trippers can enjoy fly-fishing and kayaking, as well as the tours of the reserve. Cobá is one of the largest archaeological sites linked to the Mayan culture, however only a handful of its potential 6500 units have undergone excavation. This area was once an intricate network of causeways and it is believed that it may have been an important link for trade between the interior region and the coastal outposts. Cobá is 95 miles from Cancun, so you may have to start your journey in the early morning. One of the most spectacular sites to visit is the Nohuch Mul Pyramid, which is the tallest in the region. It has 120 steps, and if you are able to walk up all these stairs quite comfortably, you will be rewarded with a stunning view of the jungle that surrounds the pyramid. Chichen Itza is a city which lays claim to having been the military, religious and political hub of the Yucatan Peninsula for hundreds of years. Here you can admire the interesting architecture and Mayan art. The city is located about 125 miles from Cancun, which means you will have to leave quite early in the morning if you wish to make a day trip to the area. It is recommended that you hire a guide to get a full visit to the archaeological site. Playa del Carmen was once a quiet little fishing village, but has been transformed into a cosmopolitan town, which has become the largest within the Mayan Riviera. This is the place to visit if your interest lies in fine dining and having fun at night. It is located around 35 miles from Cancun. The ruins at Tulum are absolutely spectacular as it sits on a cliff which overlooks the Caribbean Sea. It is not a very big archaeological site, with around 60 buildings, which would take about two hours to tour fully. This city was previously a trading port and a very busy ceremonial center. Tulum offers one of the most stunning beaches in Mexico and is located around 72 miles from Cancun. Since the tour does not take a very long time, you may be able to combine a visit to one of the other smaller sites on your day trip. This 5-mile in length island offers a very calm, relaxing atmosphere. Here you can simply laze next to the water or you can enjoy a meal at a restaurant on the beachfront. The area offers snorkeling and golf, or you can simply explore the island. You will need to take a ferry from the hotel zone in Cancun to reach Isla Mujeres within about 20 minutes. This is an extremely interesting day visit to undertake. This ecological theme park offers visitors water activities, jungle trails, a recreated Mayan village and an archaeological site. Visitors can participate in snorkeling or go swimming in the underground rivers. You can go on a visit to the Mayan ruins or watch a re-enactment of an ancient ball game. To relax later in the day, you will be presented with a cultural show which takes place each evening. Xcaret is less than one hour’s drive from Cancun. 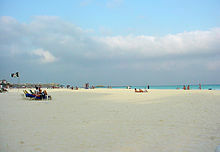 Cozumel is the largest Mexican Caribbean island and can be reached by a short ride on the ferry from Playa del Carmen. It is known as one of the best snorkeling and scuba diving spots as it offers clear visibility for up to 200 feet. The central part of the island has remained unexplored and undeveloped. If you participate in a walk through the jungle, you will be able to obtain views of endemic species of birds and small animals. There is a natural aquarium, Chankanaab Lagoon, which contains in excess of 60 tropical fish species, corals and crustaceans. This region has a very unique ecosystem whereby salt water streams connect with freshwater lagoons. It is a theme park where you can view a range of tropical fish. It is the ideal area for beginner snorkelers to practice. The other available activities at the theme park include swimming with dolphins, swinging across the cenotes or floating on inner tubes along the river. If you are not a water-baby, you can participate in the ecological tour through the jungle around the area. Xel-Ha is located around 68 miles from Cancun. Akumal is a small fishing village which is ideal for those wanting to go snorkeling or practice windsurfing. Boats are available for hire if you wish to go fishing or you can take along a diving instructor to accompany you to the nearby reefs. There are guides available if you are interested in taking a walk through the jungle. Akumal is situated about 62 miles from Cancun and there are fantastic restaurants and seafood stalls along the beachfront. All these day trips from Cancun are interesting, and there is something for everyone. 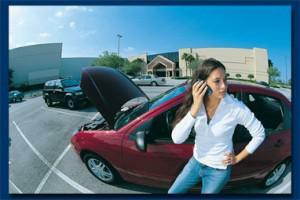 To ensure that you enjoy your day trips, it is absolutely vital that you obtain Mexican car insurance. Mexican auto insurance is a legal obligation if you intend driving in the country. Many people planning a trip to Mexico take care of all the other paperwork required and tend to ignore Mexican car insurance. This often results in them having to purchase policies at the border, thereby obtaining inadequate coverage and having to pay much more for their policy.You can purchase your Mexican auto insurance policy from this MexInsuranceStore.com link. You do not want to be stopped by the traffic authorities or be involved in a vehicle accident and not have adequate insurance coverage to cover the damage caused as this could result in you spending a couple of nights in a jail cell. If you do an online search for Mexican auto insurance, you will be given the opportunity to choose between liability only or full coverage. If you opt for liability only, your personal damages will not be covered. It only covers the damage and injury caused to third parties. It would be best to consider full coverage if your vehicle has a high value, or simply for peace of mind that you will be covered for any eventuality. Once you have made your choice of the type of policy you want and the additional cover that is available, you can easily pay online and immediately print a copy of your policy. It is recommended that you print a couple of copies of the policy and retain at least one copy with you at all times during your trip to Mexico. One of the distractions while driving is using your mobile phone. You can avoid texting, calling and using your device if doing them is not necessary. Maximize your safety and wait for your car to stop before working on your gadget. Make sure to purchase Mexican insurance for safe travel. While driving, focusing your eyes on the road and your hands on steering wheel are important. Avoid focus distractions to prevent serious problems. These are helpful tips you may want to remember, in addition to buying your Mexico insurance. If it’s okay with you travelling 6 hours from the border, you’ll see the perfect scenic area in El Rosario. It has plenty of great seaside activities. It’s great to enjoy simple camping and fishing. Always have your Mexican insurance ready all the time in case. Whether it’s annual or semi-annual activities, foreign tourists will enjoy the most memorable activities in Mexico. You can’t resist the Kayaking, whale watching and the birds of Baja. Plan for a vacation by buying first your Mexican insurance. Frequently, an accident happens when people least expect it. Even the most careful driver can’t escape from road chaos and mishap. 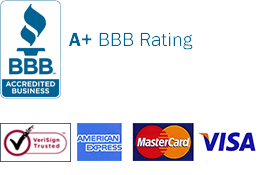 Your handy Mexican auto insurance will be suitable for your protection. In Mexico, it specifies that you must show proof of financial means to cover the accident cost. Therefore, it’s important that you have insurance liability coverage. Mexico! Oh, you can literally pick from the great resorts available such as Puerto Vallarta, Cancum and others. To simplify the travel, be sure you’re covered by Mexican auto insurance.